Diaplous Yachting is the reflection of our passion for sailing and for discovering even the most well kept secrets of the Greek archipelago. Our main driver in chartering business is exactly this: to share with you our love for sailing and yachts and through this means to help you exploring the natural beauties of Greece in a way which is both ecologic and very enjoyable. For us, one should take advantage of his sailing holidays to the full, without missing important opportunities that may lie… at the next bay. Our focus on providing our customers with all necessary info, coming from many years of experience in these waters, will ensure just this. We deploy a professional but at the same time friendly relationship with our customers fully respecting their privacy and working with all our strength towards the fulfillment of their individual needs and expectations. Help people live their sailing holidays experience to its’ full potential. 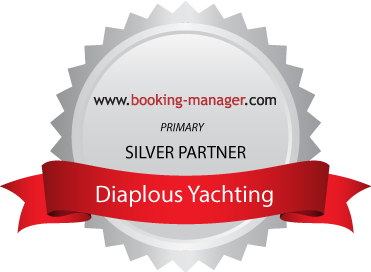 Why should you choose Diaplous Yachting? Οur experienced staff will take care of you trip with professionalism to the slightest detail.